As a teen, Pamela Schuller had the worst diagnosed case of Tourette Syndrome in the country, a touch of Obsessive Compulsive Disorder, and a whole lot of pent-up anger. She spent years depressed, suicidal, and wishing her differences away. Over time, she started looking at her life differently and turned her obstacles and challenges into the very fuel that propels her. Now an internationally known disability and mental health advocate and professional stand-up comedian, Pamela’s stories of growing up in a body she had no control over are engaging, powerful, a little bit heart-wrenching, and unapologetically funny. Pamela has spoken and performed in six countries, in almost every state in the US, and for more than 25,000 kids, teens, and adults. She holds a BA in Psychology and Youth Outreach Through the Arts and an MA in Child Advocacy and Policy, where she focused her studies on creating comedy and improvisational theater programs as a tool for youth with disabilities to improve self-advocacy skills. She has grown that skillset into a repertoire that teaches kids and teens to be proud of who they are, communities to be deeply inclusive, and corporate teams to be innovative and learn to make smart, bold moves. 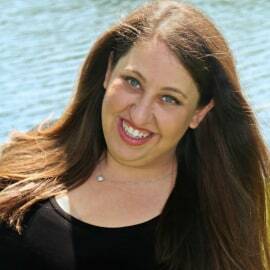 Pamela was named one of the "36 Under 36" who are changing the face of the Jewish community by The Jewish Week because she gets audiences of every age comfortable, laughing, and learning together through storytelling and humor. Pamela doesn’t just “tolerate” what makes her different; she embraces it, loves it, and finds the funny in it... all while challenging her audiences to do the same.